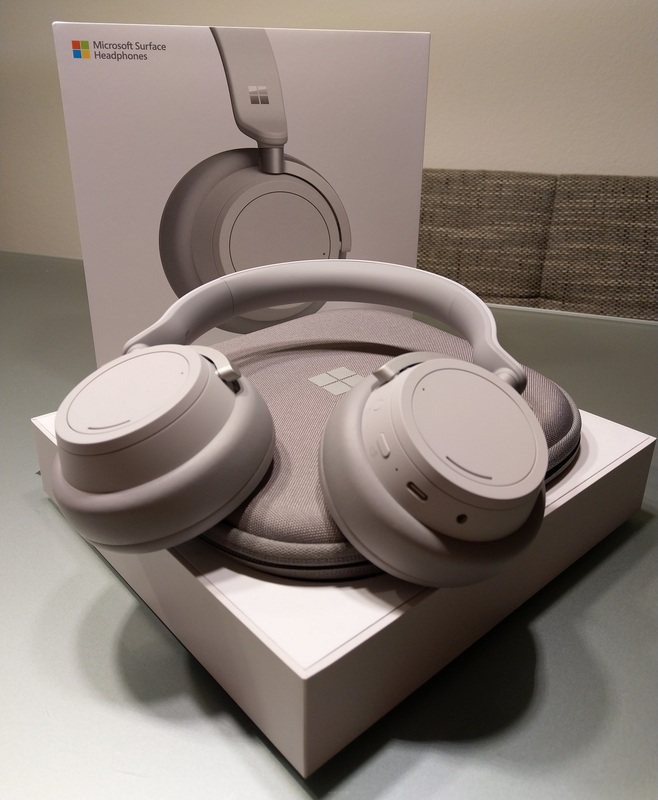 Last week I received another Microsoft product from the parcel service: my new Microsoft Surface Headphones. I just want to give you some first impressions. I will publish my experiences with it later. In the last years I was always the absolute fan of in-ear headphones. But after I wanted to try out something new my decision fell naturally on a Microsoft product. I read a lot of these headphones on the web and found fantastic reviews. 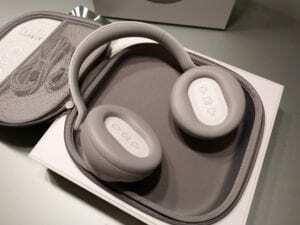 The Active Noise Cancellation (ANC) succeeded really well. Since I work in an open-plan office, I will probably test this function very extensively. Another reason for choosing Surface Headphones was the automatic pausing of playback when removing them. Also, the simultaneous connection of my Surface laptop and my smartphone is pretty awesome. In a normal working week I have about 30%-40% of the time for online meetings via MicrosoftTeams. Thanks to the Cortana voice control “Hey Cortana, join my next meeting“, participation is also possible hands-free. Therefore it will not only be a leisure item for me to listen to Spotify & Co, but it will also integrate perfectly into my daily work. With the long battery life of more than 15 hours and the active noise cancellation the Microsoft Surface Headphones become a must-have for me on the plane. 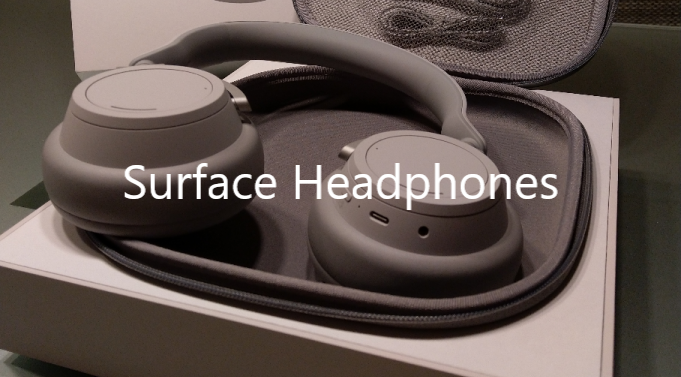 Do you also use Surface Headphones?